Will Stephanie McMahon feature on the upcoming go home episode of Raw before TLC? Well, quite recently WWE has been going through a rough patch. In their defence, a lot of injuries have left them reeling, still WWE have no one but themselves to blame for the most part. With TLC just one week away, the upcoming go home episode of Raw will feature WWE hyping the pay per view. 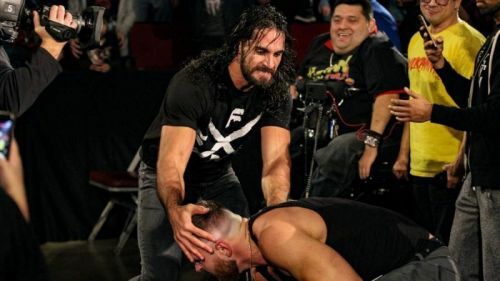 While it will feature the continuation of existing feuds for TLC, expect WWE to throw in a few shocks and surprises to make things interesting, after two weeks of disappointments. With the last episode of WWE's flagship show, Monday Night Raw, receiving the lowest ratings in the show's history, the onus will be on the creative to deliver this week on Raw. So expect WWE to book a few blockbuster segments, and put together a commendable show. So without further ado, lets look at 3 crazy things WWE could do on the upcoming go home episode of Raw to boost ratings. Seth Rollins is all set to defend his Intercontinental Championship against The Lunatic Fringe Dean Ambrose at TLC. And with Dean Ambrose featuring in a few bizarre promos on the last few occasions, the feud has been quite underwhelming to say the least. On another note, Dean Ambrose has not looked at his best in his recent stint as a heel. However, WWE may spice things up a bit, and one such way could be a huge brawl. WWE could have both of the brothers going bonkers on each other, with the entire locker room coming to separate them. This would not only provide a breath of fresh air to their underwhelming feud, but would also hype their match at TLC.